These photos were taken with a 50mm Sigma macro lens, shooting 14 pictures to make the full focus composite. 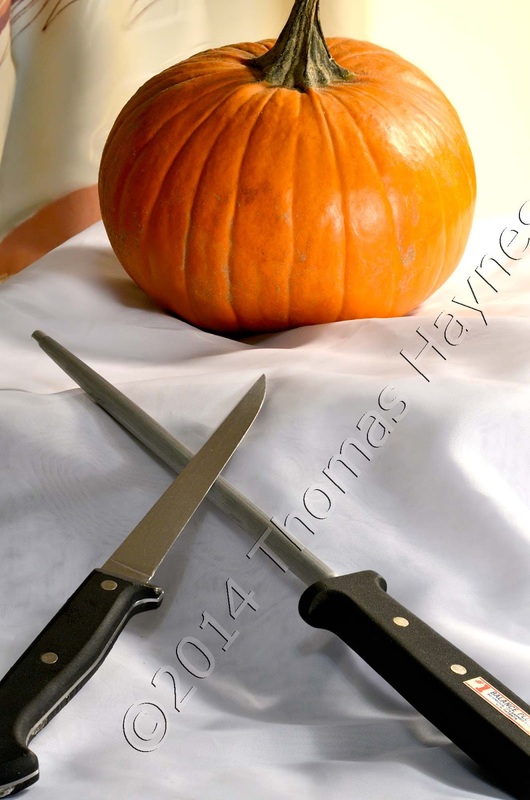 Note the focus and detail on the cropped segment showing threads in the sheer fabric background and detail on the kitchen knife and sharpening steel. Imagine a close up rendering of a motherboard or technical device, close and in focus front to back. Of course, as shown here, full focus with staked focus technique works as well for non-technical subjects like a table of food or deserts and tableware, close up, personal and clearly shown. Scroll down to previous post to see full explanation of what we do and think of how it may benefit your business net presence and print advertising.